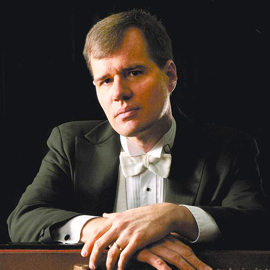 Pianist JOHN NOVACEK regularly tours the Americas, Europe and Asia as solo recitalist, chamber musician and concerto soloist; in the latter capacity he has presented over thirty concerti with dozens of orchestras. John Novaceks major American performances have been heard in New York Citys Carnegie Hall, Lincoln Center for the Performing Arts Avery Fisher Hall and Alice Tully Hall, 92nd Street Y, Columbia Universitys Miller Theater, Merkin Concert Hall, The Metropolitan Museum of Art and Symphony Space, Washingtons The Kennedy Center for the Performing Arts, Bostons Symphony Hall, Chicagos Symphony Center and Los Angeles Dorothy Chandler Pavilion, Hollywood Bowl and Royce Hall, while international venues include Paris Theatre des Champs-Elysées, Salle Gaveau and Musée du Louvre, Londons Wigmore Hall and Barbican Centre, as well as most of the major concert halls of Japan. Often heard on radio broadcasts worldwide, John Novacek has appeared on NPRs Performance Today, St. Paul Sunday and, as both featured guest composer/performer, on A Prairie Home Companion with Garrison Keillor. He was also seen and heard on television, including The Tonight Show with Johnny Carson, Entertainment Tonight and CNN International. John Novaceks own compositions and arrangements have been performed by the Pacific Symphony, The 5 Browns, Concertante, Manasse/Nakamatsu Duo, Harrington String Quartet, Ying Quartet, Millennium, Quattro Mani and The Three Tenors. He has recorded over 30 CDs, encompassing solo and chamber music by most major composers from Bach to Bartók, as well as many contemporary and original scores. Mr. Novacek records for Philips, Nonesuch, Arabesque, Warner Classics, Sony/BMG, Koch International, Universal Classics, Ambassador, Pony Canyon, Four Winds, Arkay, Virtuoso and EMI Classics. CD titles include Road Movies (2004 GRAMMY nomination as Best Chamber Music Performance), Great Mozart Piano Works, Spanish Rhapsody, Novarags (original ragtime compositions), Classic Romance, Hungarian Sketches, Intersection, Romances et Meditations and, with Leila Josefowicz, Americana (GRAMOPHONE: Editors Choice), For the End of Time, Shostakovich and Recital (BBC MUSIC MAGAZINE: 5 stars/June 2005's chamber choice).